Despite the fact that they’re getting thinner, larger and more amazing than ever, one of the biggest drawbacks of modern day TVs is that they take huge amounts of space from our living areas and when they’re turned off they’re nothing but an unattractive mass of plastic and metal. 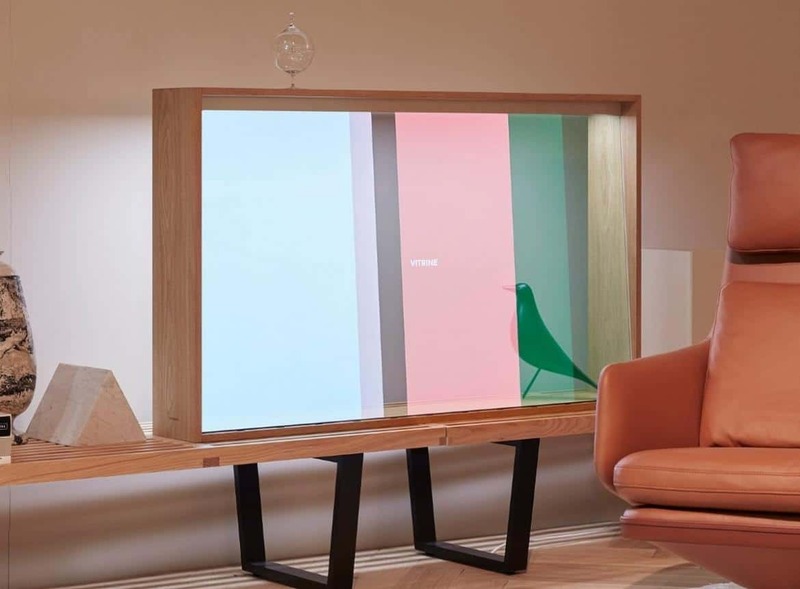 But that might change pretty soon with the innovative Panasonic Vitrine OLED concept. 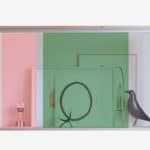 Panasonic has teamed up with Swiss furniture brand Vitra and designer Daniel Rybakken to come up with a stunning transparent OLED display that was called “Vitrine”. 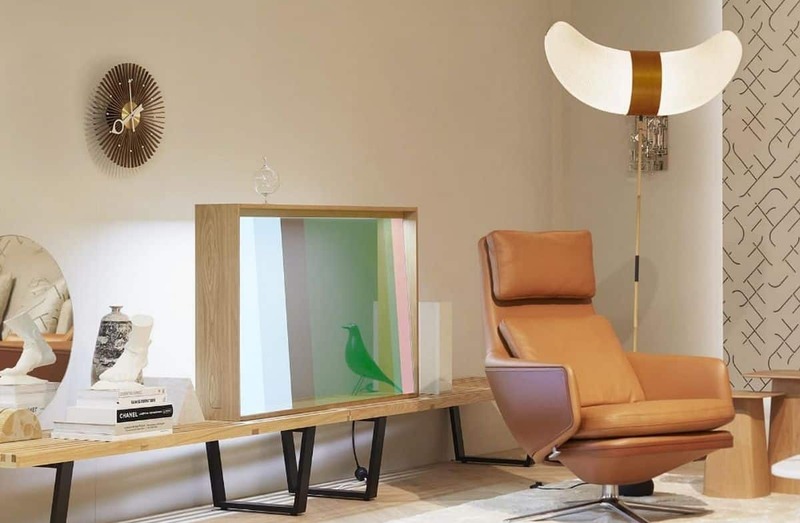 Unveiled at the 2019 Salone del Mobile in Milano, this wondrous device beautifully combines a see through OLED display with angular glass and a super chic wooden frame to create an interesting piece of furniture for your home that could beautifully shift and adapt to its surroundings by using variable dynamic elements. 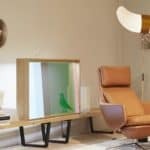 The Panasonic Vitrine will blend in naturally into any contemporary living space when it’s not in use, but when you’ll turn on the display, the transparent section will transform into a fully functional OLED display. If you’re wondering why it has no electronic components, it’s because they were smartly hidden right inside the wooden frame of the box. 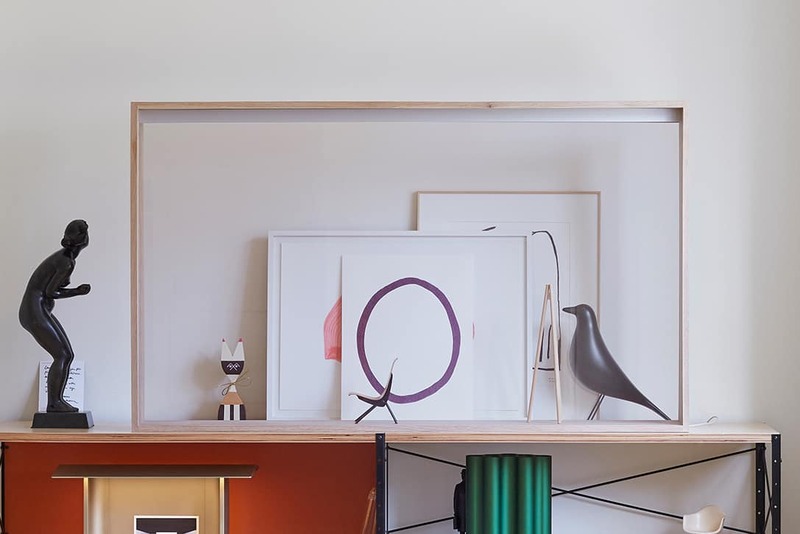 Even the lighting element has been beautifully hidden into the frame, which doubles up as a stand for the OLED display. Panasonic and Vitra worked on this unique concept for nearly two years and this is the first prototype. 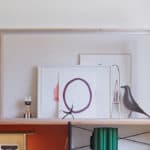 They were looking for new ways to integrate new technologies seamlessly into our living spaces and we’re surprised no one has ever thought about this. 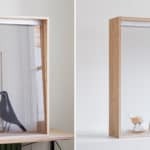 The Vitrine showcased at Salone del Mobile had a few items tucked behind the glass display to showcase its use as a furniture item, but this idea could get a whole new meaning in the future. 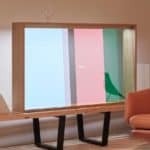 Panasonic hasn’t announced if they’re planning to get this thins into production anytime soon, but we’re pretty sure we’ll see it in stores sooner or later.